Everyone likes these pictures of me. In the second picture we find that the capybara is natures snob, his large nose having evolved as such to give the maximum level of snootiness. that’s not a guinea pig, it’s a tapir. no es un cerdo de guinea es un CHIGÜIRO. That first one HAS to be a shop. I can only think of two explinations for it, otherwise. 2) that thing is just waiting for puberty so it can be a teenage mutant ninja…thing. The size of it is just…mind boggling. It could be the camera closeness/angle, but…damn, that thing looks huge. Adolescent Radioactive Black Belt Hamsters, obviously. I have pics of a couple of them at the DC Zoo. It’s a shoop. Look at the paws and how they interact with the tub edge beneath them (as in, they don’t). Is a chiguiro the same thing as a capybara? 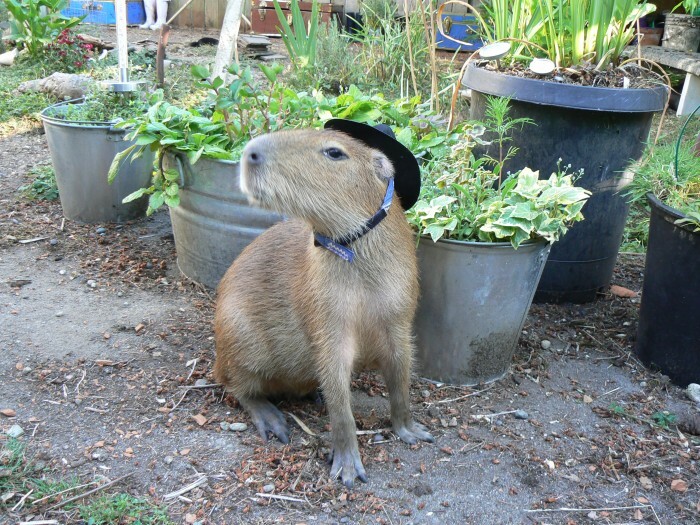 Because that critter up there is a capybara. 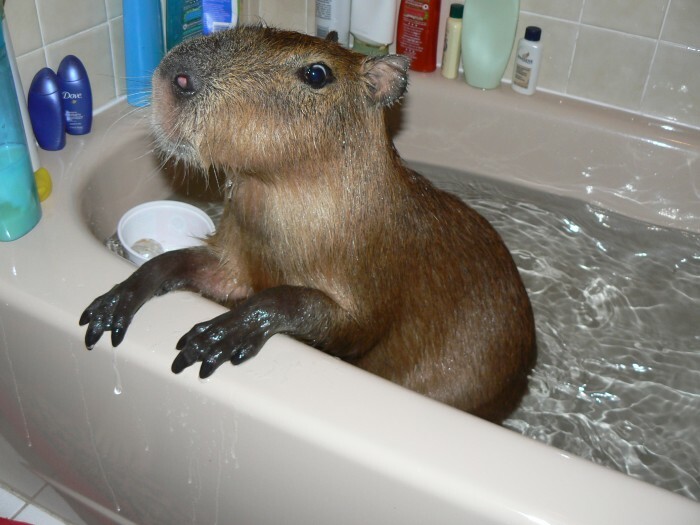 capybara is a chigüiro in non ethnic language. I will call him “Speak”!